BART riders are using the transit system's new security app to complain to police about Black and homeless people and to report non-crimes. BART provided the Express with a month's worth of alerts. Last August, the Bay Area Rapid Transit system launched a mobile security app called BART Watch, which allows riders to send alerts, including text messages and photos, directly to BART police from their cellphones. Through a California Public Records Act request, the Express obtained a month's worth of alerts, approximately 763 individual messages sent to the BART police, and analyzed the contents. The data shows that BART riders report Blacks for both alleged crimes and non-crimes at disproportionate rates compared to other racial or ethnic groups, and that people perceived as being homeless are also being targeted with a high number of complaints, often for sleeping, smelling bad, and other non-crimes. BART police representatives told the Express that the app has become a valuable tool, but human rights advocates say the way it's being used by the public is cause for concern. "Society conspires to marginalize people," said Zachary Norris, executive director of the Ella Baker Center. "With this app, you see the criminalization of poverty and racial profiling all put together." 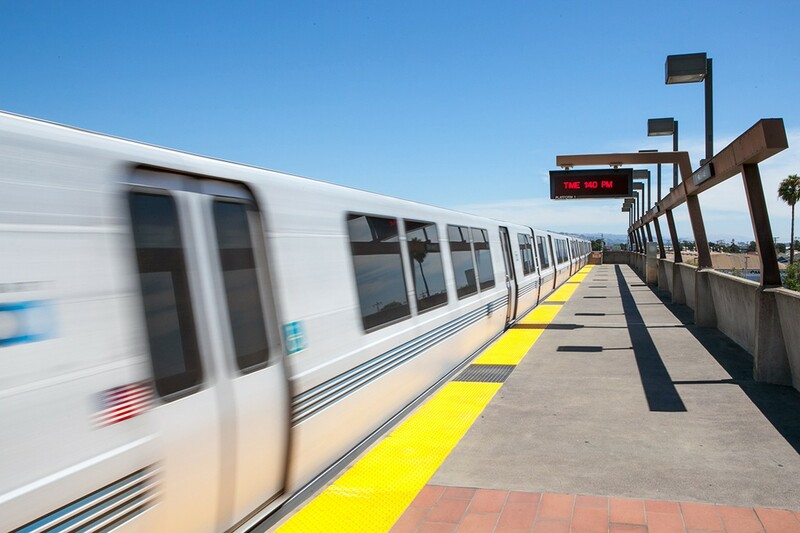 Riders can download the BART Watch app for iOS or Android phones. The app provides users with a list of crimes that can be instantly reported with the click of several buttons, including "crime in progress," "robbery/theft," and "sexual assault/lewd behavior." The pre-set choices also include vague categories, such as "disruptive behavior" and "suspicious activity," that leave it up to passengers to decide what warrants a request for police. Riders can snap photographs and send them along with text messages to BART police. The app is available in English, Spanish, and Chinese languages. "We're getting a lot of reports, and a lot don't rise to the level of criminal activity," acknowledged BART Deputy Chief Benson Fairow. "But we hear about the problems and that's what is important for us. So we appreciate getting the low-level stuff." BART provided the Express with 367 printed pages of data for alerts sent between the dates of April 7, 2015 and May 12, 2015. None of the alerts were sent in Spanish or Chinese languages. Of the 763 alerts sent to BART, 198 included a description of the race of the person who was the subject of the complaint. Out of these 198 alerts indicating a person's race, 134 of them, or 68 percent, described Black people as offenders and suspects warranting a police response. The sheer number of complaints against Blacks is hugely disproportionate to BART's passenger demographics. According to a 2008 survey conducted by BART, only 10 percent of the transit system's daily customers are Black, whereas 48 percent are white, 24 percent are Asian American, and 20 percent are Latino. Of the 198 alerts sent to BART police that identified a person's race or ethnicity, only 37 targeted whites as offenders, just 19 percent of the total. Some of the alerts identifying Blacks as offenders concerned behaviors that are not crimes, or appeared to be based on suspicion, rather than solid evidence of criminal wrongdoing. And many of the actual complaints alleging crimes committed by Blacks were for minor, non-violent offenses, such as panhandling or drinking. Blacks were most likely to be complained about by other passengers for alleged "disruptive behavior," one of the pre-set, vague complaint categories that BART Watch app users can select with the click of a button. Passengers who sent these alerts to the police often characterized playing music, singing, dancing, talking loud or yelling, and taking up more than one seat as "disruptive behavior" by a Black person that warranted a police response. 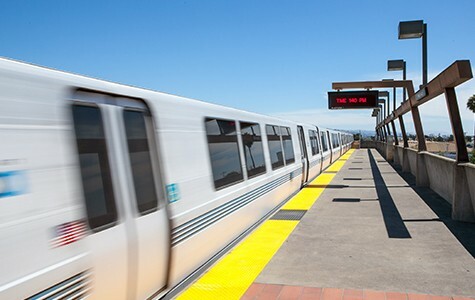 In addition to disruptive behavior, the pre-set offenses "other," "panhandling," and "suspicious activity" rounded out the top reasons a passenger sent an alert to the BART police regarding a Black person. All together, there were 109 complaints against Black people for these four reasons, whereas there were only seven "crime in progress" alerts sent through the app that identified Blacks as breaking a specific law, and among these, only one appeared to be for a potentially violent offense. The rest were apparently for drinking alcohol, smoking, and yelling on the train. Fairow acknowledged that many of the alerts sent by passengers don't pertain to actual crimes, but said that his officers take this into account, and often will not respond if the complaint seems unwarranted. "It doesn't change the way we respond to anything," said Fairow about the large number of non-crimes reported through the app. "If it doesn't rise to criminal conduct, there's no action we're going to take." Fairow said the app isn't meant to replace 911, which BART police request that passengers use if there is an emergency. Most serious crimes are reported to BART police via 911 telephone calls, according to Fairow, meaning that passengers mainly use the BART Watch app to report low-level quality-of-life offenses. Over the years, BART has been embroiled in controversies about racial profiling and police interactions with the Black community. In a recent example, on August 17 last year, Albert Burleson, Jr., who is Black, was on his way home from work and was waiting in the Powell Street Station in San Francisco for a train. BART police officer Darnell Bussey approached Burleson because he supposedly fit a suspect description of a Black male who had assaulted someone earlier. Bussey then, with the assistance of off-duty Oakland police officer Brenton Lowe, forcefully arrested Burleson. They held Burleson in the San Francisco jail until 5:45 a.m. the next day. A lawsuit pending in federal district court alleges that Bussey and other officers racially profiled Burleson, used excessive force, wrongfully arrested him, and that Burleson did not match the description of the suspect except for the fact that he was a Black man. "I haven't noticed the overall trend," said Fairow about the race of people being reported through the BART Watch app. "It's not something we track because it's not something we control. We control our contacts with people. As far as what people are reporting to us is not something we have direct control over." Fairow said, however, that with the app in use for about one year now, BART police will soon analyze how it is being employed. "This appears to fit into a larger pattern of Black people being criminalized for just being Black or homeless," said Norris. "The app should raise some questions about what we as Bay Area residents should be doing to tackle the problem of homelessness, or young people not being able to afford their fares." Passengers and people in stations who were perceived to be homeless were the other category singled out by BART riders for a police response. Riders using the BART Watch app frequently described other passengers and people in stations as "bums," "vagrants," "transients," and "street people," often complaining about how someone smelled. One alert, sent on May 12, read: "A homeless man looks older Muslim (a regular on bart trains) is smelling up the whole bart." BART police apparently informed the sender of the alert that they were not alleging a crime, or any problem that warranted a police response, because in a second message the same person texted to the police: "I understand it is not a crime, that is why I put 'other' the homeless is a issue." On April 30, another BART rider complained that BART police hadn't removed a homeless person from BART property, texting: "That homeless still there. You guys didn't send an officer in the morning?" Passengers frequently reported people they perceived as homeless to the police simply for smelling bad or for taking up more than one seat. "Approximately 10 homeless, stinking, possibly dead people laying across multiple full benches," read one text sent on May 12. "Transient occupying 2 seats, smells really really bad," read another alert sent on April 27 to the police. When passengers included a description of a homeless person's race, the most common racial group was Black. Of the 72 total alerts sent to complain about homeless people, fifteen described the race of the person being complained about. Of those, passengers using the app identified ten Black homeless people as creating problems that warranted a police response. "There are much better ways we could be spending resources than developing apps like this," said Norris. "Some people don't have enough to eat, or enough money to make it from their second to third job, but what we see with this app is people complaining about others sleeping on the BART train." The BART Watch app was created by Elerts, a Massachusetts company founded by Chris Russo, the former deputy fire chief of Hull, Massachusetts, and Paul MacMillan, former chief of the Massachusetts Bay Transportation Authority Police. Similar apps are used by regional transit agencies in Massachusetts, Atlanta, Georgia, and Niagara, New York, and by the Santa Clara Valley Transportation Authority. BART paid $265,000 for the app.